This has been a busy week for Ninja Kiwi. We had some interesting changes in a Bloons Monkey City update. Those changes gave us a lot of useful information about how to better handle the game's difficulty across the wide range of players who will be playing. What you're currently experiencing in BMC is not what the game will be like after one or more updates, but even then we'll have plenty of cool additions to challenge those who want challenges and make the game fun for everyone. 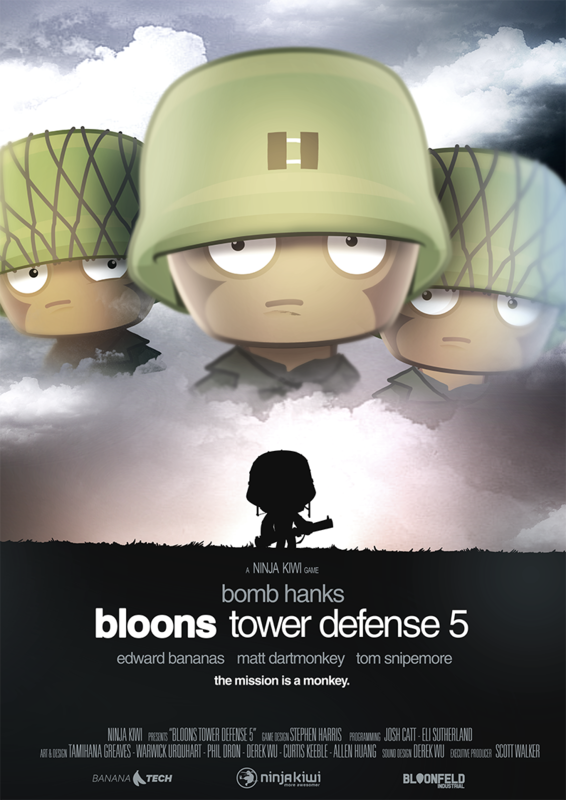 Bloons TD 5 web had an update to introduce two new tracks that recently went to the Android and iOS versions. There's a healthy helping of Monkey Money and Awesome Points waiting for the players who beat the tracks in single player as well as Co-op Mode so go and check them out. Your profile page is currently disabled. Someone has found an exploit to post things to activity feeds and in general confuse profiles. Luckily this is not an invasive exploit so there is nothing to worry about. We're working hard to find everything we need to, so if something comes up that requires your involvement we will let you know. No passwords, emails or data of any kind has been removed or retrieved from our system. In saying that, it's always a good idea to practice safety on the internet. Make sure your passwords are 8+ characters, have letters and numbers, and are different for important sites (so don't use the same password for forums as your email account) and always use two-step verification when available. There are a few bugs in Bloons Monkey City at the moment that are related to server latency. This is our highest priority at the moment so it's getting the most attention. 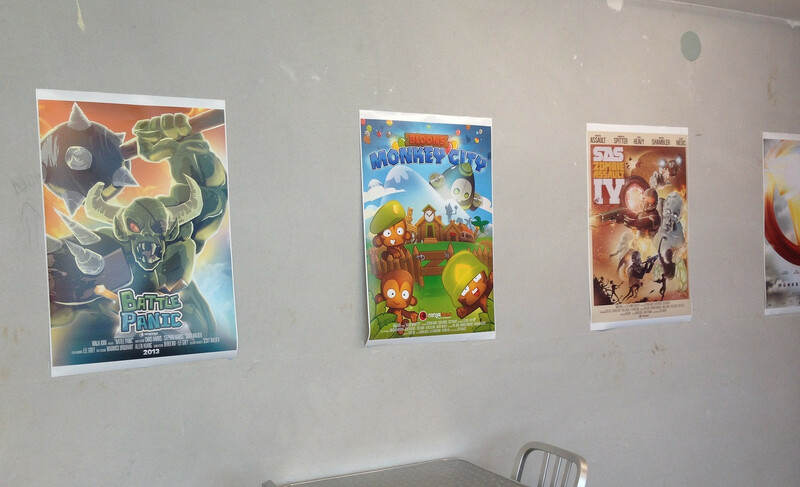 Some forum goers manage to stumble across a picture with some Ninja Kiwi game movie posters in the background. Because they're cool, here are some of them. 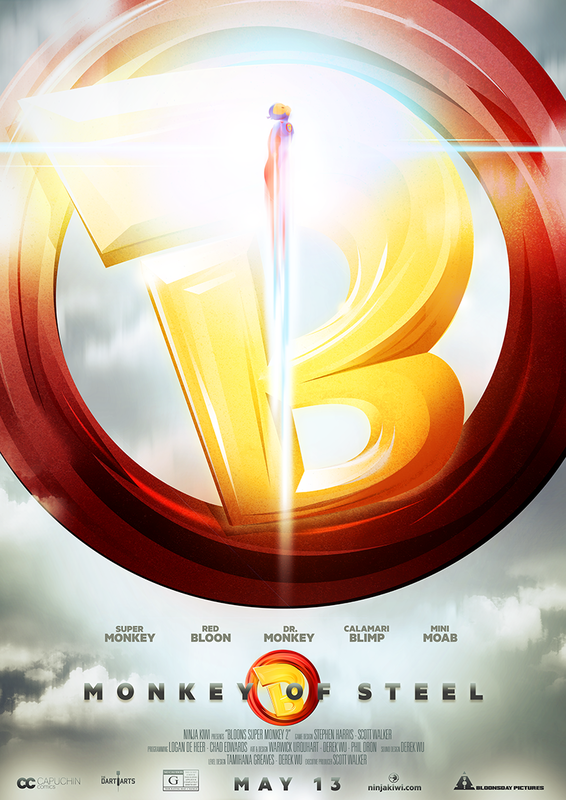 Just a note, there is no actual movie to go along with these. Is Battle Panic suitable for Clan Challenges? Nope. The only games currently sending us data to use for Clan Challenges are Bloons TD 5, Bloons Super Monkey 2, SAS: Zombie Assault TD and Bloons Monkey City. While we'd like to have a wider range of games to use, working with code from old games takes a while for reasons, so it's unlikely other old games will get CC data stuff. Besides Clan Challenges and Marks, do you plan to add anything more to Clans? Not in the near future. We have a lot of ideas, but as most of them won't happen we don't like to announce stuff ahead of time. After beating a tile or an attack from another city on Monkey City, my screen goes white. I log out and log back in and it says I lost and they win all my money. Anyone know why this happenes?